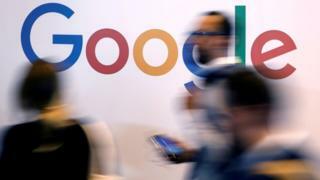 Google has been accused of flouting European data protection laws when it tracks users’ locations. A coalition of seven consumer organisations is filing complaints with local data protection regulators over Google’s tracking system. The complaints draw on research by one coalition member, which alleges people are forced to use the location system. Google said tracking was turned off by default and could be paused at any time by users. In a statement, the coalition said Google used “deceptive practices” to make people turn on its different tracking systems. Consent, it said, was not being freely given. In addition, it alleged, Google did not give “straightforward information” about what surrendering the data entailed. Location data could give deep insights into someone’s lifestyle including their religious beliefs, political activity, health and sexual orientation, said the statement. “These unfair practices leave consumers in the dark about the use of their personal data,” said BEUC, speaking for the consumer groups. Organisations in the Netherlands, Poland, Greece, Norway, Slovenia, Sweden and the Czech Republic all plan to file complaints to their local regulators under Europe’s General Data Protection Regulation. The seven organisations are members of BEUC – an umbrella group that represents and lobbies for European consumer advocacy groups in Brussels. In response, Google said: “Location history is turned off by default and you can edit, delete, or pause it at any time. “If it’s on, it helps improve services like predicted traffic on your commute,” it added. Anyone who did pause tracking was told that Google might still, “depending on your individual phone and app settings”, collect data about where people went, it said. “We’re constantly working to improve our controls and we’ll be reading this report closely to see if there are things we can take on board,” said Google.